If you are interested in attending our workshops in Edinburgh and Glasgow in February-March 2017, please click the links above for details. Spaces of Belonging aims to give postgraduate students in the arts and humanities across universities in Scotland the opportunity to gain ‘hands on’ experience of organising and carrying out public engagement work by running public poetry workshops in association with the Maryhill Integration Network in Glasgow and The Welcoming in Edinburgh. These community groups engage with people from migrant, refugee and asylum seeker backgrounds. Engaging primarily with themes of space, belonging and identity, these walking poetry workshops will utilise the research specialisms of students whilst enabling them to develop a range of skills. 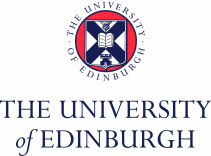 We are very grateful to both the University of Edinburgh's Innovative Initiative Grant and SGSAH's Cohort Development Fund for providing the funding necessary for this project to take place.